A good transaction is one in which all participants win. We believe in mutual problem solving which leads to successful outcomes and added value for all stakeholders. Watermill brings creativity, experience, integrity and honest communication to every transaction. 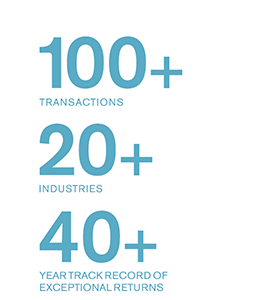 Our financial engineering adds value, but it’s our commitment to get beneath the numbers that sets us apart. Our relentless focus on strategy and operations delivers deeper value and superior returns. We have created numerous vibrant businesses out of companies that needed an injection of strategic guidance or operational support to achieve their full potential.